U.S. All-Breeds Leader for Combined Fat & Protein! At feed bunk on mid-90o January summer day in Australia. VB HP Advantage Sugar "E93/E95", owned by Voegeli Farm Inc. & City Slickers LLC, Monticello, WI. Cutting Edge T Delilah, Owned by Kyle Barton, Ancramdale, NY. Originating in the Swiss Alps, Brown Swiss adapt well to high altitudes and hot or cold climates, while producing large volumes of milk, ideal for cheese-making. 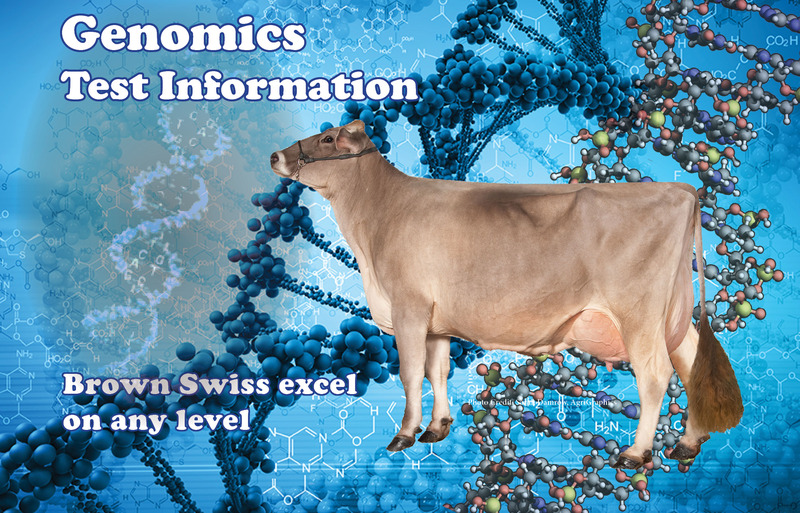 Their unique ability to yield high components with an ideal fat-to-protein ratio sets them apart from other dairy breeds. Correct feet and legs, well-attached udders and dairy strength contribute to their exceptional productive life, allowing them to thrive in any modern dairy set-up. Style, balance and fancy frames also make Brown Swiss easy winners at county, state, national and international shows. 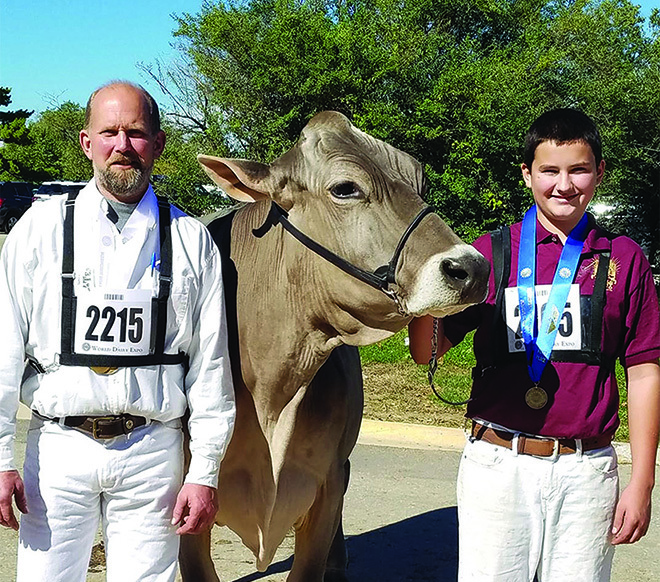 The Brown Swiss Association was established in 1880, registers about 10,000 animals per year and serves about 1800 combined adult and junior members. It is governed by a 10-person board of directors elected by and from the membership. 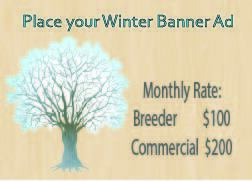 BSCBA Mission Statement... To promote and expand the Brown Swiss breed with programs that assist the membership and industry to compete favorably in the market place now and in the future. Today’s U.S. breeders have built upon the breed’s rich heritage to develop a worldwide demand for their cattle in both the show ring and commercial dairy herd. Congrats to the 2018 National Junior Bell Ringers! 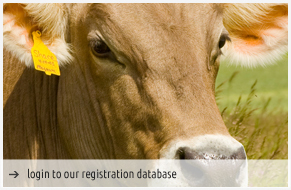 The BSCBA Website is designed specifically for Brown Swiss breeders & enthusiasts! Click to view 2019 sale catalogs. Rick Thompson (left) and his son Matthew pose with Random Luck B Tea Rose EX95, following the Aged Cow class at last fall’s World Dairy Expo, where Tea Rose was the first junior-owned entry . Thompson’s Random Luck herd, located in Darlington, Wis., is well-known for high-quality Brown Swiss cows that primarily descend from two cow families – the Taps and the Phoebes. DARLINGTON, Wis. – A decade and a half ago, with a dream and dedication, Rick Thompson set out to plant the seeds of Random Luck Farm near Darlington, Wis. Best known for outstanding Brown Swiss cows, Random Luck is also home to an award-winning group of Jerseys, along with a few Holsteins. Through the years, thoughtful mating decisions, second-to-none cow-care, and a dash of luck thrown in for good measure, the herd’s successes have been anything but random. To continue reading. . .